The difference between the lower quartile and the upper quartile. The difference between the biggest value and the smallest value in a data set. For a school report, Ferdinand contacted a car dealership to collect data on recent sales. He asked, “What color do buyers choose most often for their car?” White was the response. What statistical measure does the response “white” represent? When talking about spectrogram parameters, what does the bandwidth equal? Write the verb in each sentence, and label it either action or linking. The bell rang at the end of class. This mountain range is the longest and highest range in the country. 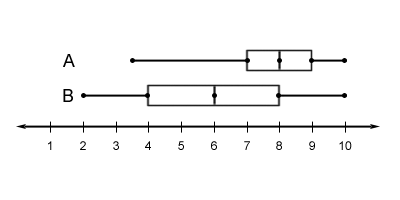 Which is a measure of spread for a data set? The mayor the bell to begin the Independence Day festivities.